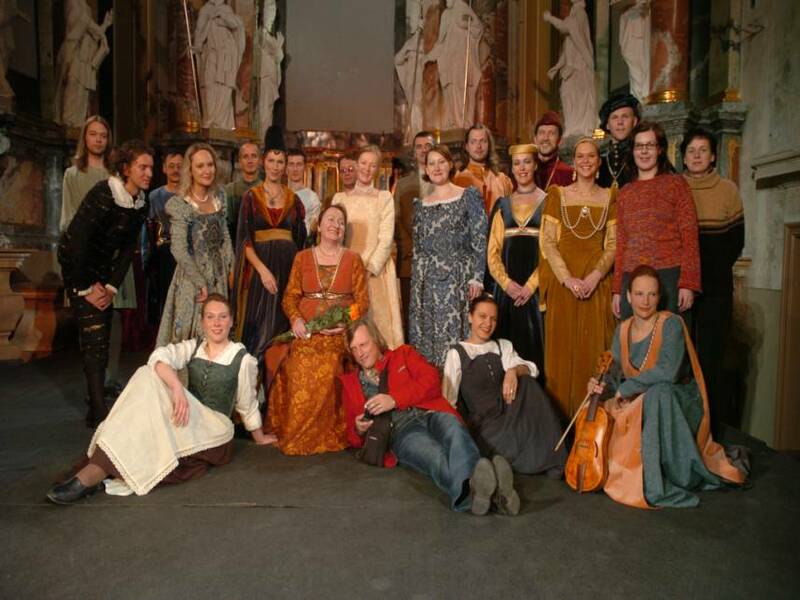 The ensemble of the early music and dance was founded in 1985. Jūratė Mikiškaitė- Vičienė is the art director and director of musicians of the ensemble and Virginija Jašinskienė is the director of dancers. It was the first ensemble of early music and dance in Lithuania and it's priorities are the heritage of Renaissaince musical culture of the Great Duchy of Lithuania and Western Europe. The ensemble participated in numerous festivals and musical projects, went on tours to Lithuania, Latvia, Estonia, Finland, Norway, Russia, Hungary and other countries. Joint programmes were produced with an Estonian ensemble of early music „Hortus Musicus" , a folk music group „Sedula", a choir for chamber music „Brevis" and ensemble of early music "Giesmių Tarnai" („Servants of Chants"). Music of the Renaissaince period - the end of the XVth up to the beginning of the XVIIth centuries, and dances from Italy, England and France prevail in the repertoire of the ensemble. Careful studies of gestures, manners and fashion help to create the authentic atmosphere of bygone centuries.